The tour will start with a visit to the birthplace of the Portuguese nation - the city of Guimarães, the first capital of Portugal, chosen by our first king, Afonso Henriques. Known as the cradle of Portugal, Guimarães has preserved a medieval atmosphere in its core and for so many references UNESCO considers this town as a World Heritage Site. 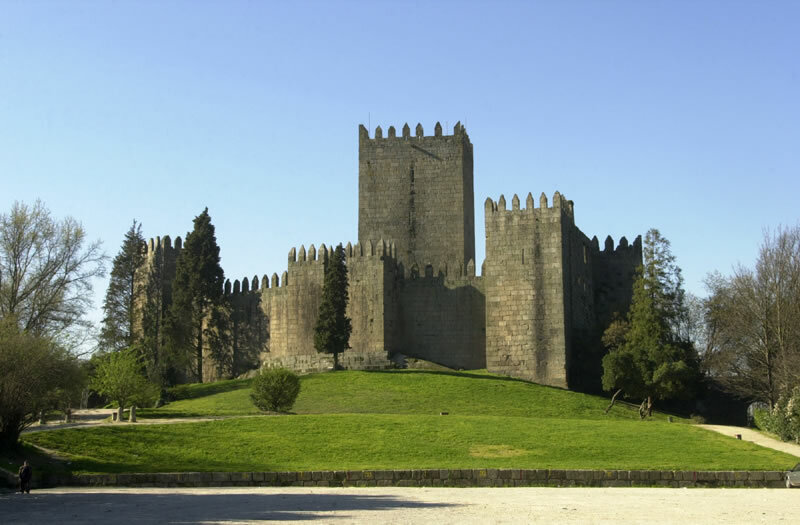 Our first stop will take place in the northern part of the city with a visit to the imposing 10th century castle and the majestic Dukes of Bragança Palace. Afterward the historical Santa Maria Road will lead you to the charming square in the heart of the old town, Largo da Oliveira. After a relaxing lunch break in Guimarães that will certainly allow you to enjoy the pleasures of the cuisine of the north of Portugal it will be time to continue towards Braga, the oldest religious capital of Portugal. Known to the Romans as Bracara Augusta, for centuries Braga has been and archiepiscopal seat and pilgrimage site. Our first stop is Sé, the 12th century cathedral built by Henri de Bourgogne and Dona Teresa. Then you will head to Bom Jesus Sanctuary, a hilltop pilgrimage site. The 581 steps that the pilgrims climb up to the top of Bom Jesus are one of the most glorious stairways in Portugal. After a visit to these landmarks of faith in the country we will take you back to Porto.